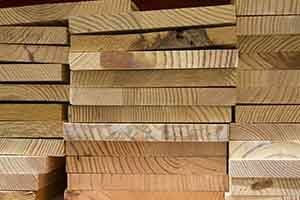 The U.S. Department of Labor’s Occupational Safety and Health Administration (OSHA) conducted an inspection of RWS Manufacturing Inc., a miscellaneous wood product manufacturing company, on Jan 13, 2016, as a follow-up to a previous 2012 inspection which yielded a total of 22 violations. That follow-up inspection revealed several extant violations, with a variety of dust-related hazards among them. Inspection found that the company failed to correct issues with the dust collection system that were occurring, years prior. • Inoperable spark detection/fire suppression system. OSHA issued RWS Manufacturing Inc. subsequent citations for their failure to abate those citations from the previous inspection. The newly cited violations include two repeat and three serious violations. The company faces a proposed penalty of $197,820. For further reference, the citations can be viewed, here. Dust-related hazards are a liability in a general industry environment. Undergoing an OSHA-accepted training course is recommended for all employers and employees in the manufacturing workplace.